The Woodlands, Texas, personal injury attorneys of The Leigh Law Firm focus on providing clients with civil litigation solutions marked by thorough preparation and an aggressive approach to helping clients obtain full and fair compensation for their injuries. Founding attorney Brad Leigh spent years working side by side with John M. O'Quinn, the legendary Texas personal injury attorney. Since being admitted to the bar in 2000, attorney Leigh has lost only one case out of hundreds, with more than $15 million won for his clients in that time. 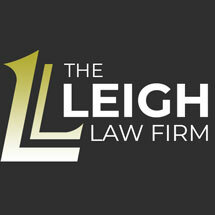 The Leigh Law Firm lawyers bring that experience to bear on every case they handle. A major emphasis for the firm is motor vehicle accidents. Attorneys from the firm are committed to helping Texas clients obtain full compensation for injuries resulting from car accidents, 18-wheeler trucking accidents, motorcycle accidents, bicycle accidents, pedestrian accidents, distracted driver accidents, drunk driver accidents and other motor vehicle accidents. The firm offers free initial consultations, with evening and weekend consultations available by appointment. The Leigh Law Group lawyers also meet clients at their homes, offices and hospitals when necessary. The entire firm shares the same commitment to being prepared and being aggressive in order to get the best results possible for their clients.